In the Spring of 2018, I got the chance to take a storytelling studio class. It was focused on iteration and telling a story—any story—through design. I was interested in how to take the storytelling I had seen done in museum exhibits and layer that over a space in the urban environment. In order to pick what space I wanted to tell a story in, I took myself on a walk. Having moved to my neighborhood only a year before, I was still fascinated by all of the discoveries I was making about it. 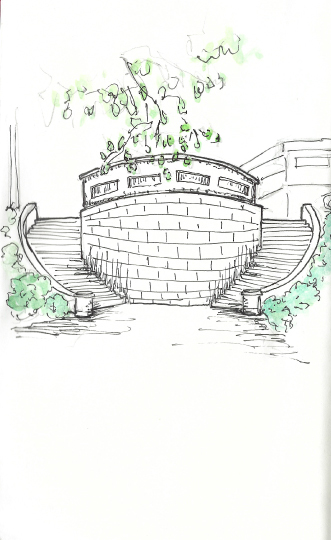 I made various sketches along my walks and found a few favorites. For instance, one of these discoveries was going down what looked like a dead-end road to discover the Republican Street Stairs and Blaine Street Stairs. 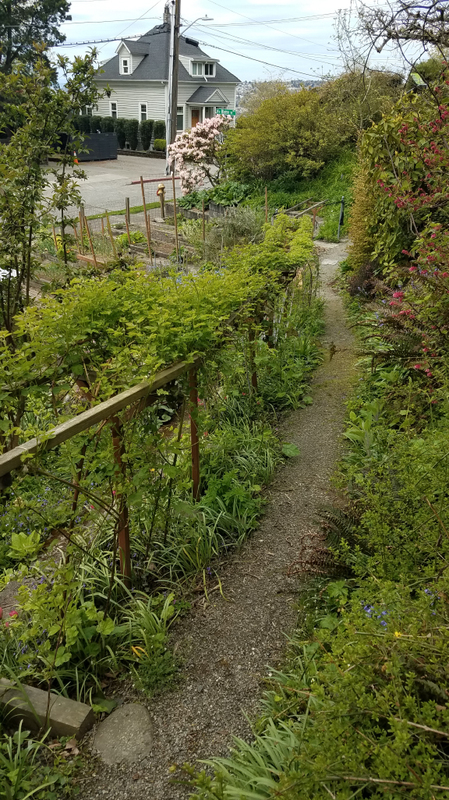 I learned that these pedestrian stairs were sisters to the more famous Howe Street Stairs that connected the Capitol Hill neighborhood to the Cascade neighborhood before I-5 cut through the city of Seattle. I started to ask myself what story I would tell in these spaces and what that might look like. One of the first iterations was using the app Just A Line to create a line that might pique curiosity to follow it down the Republican Street Stairs. (While cool, the app is incredibly buggy and it took 45 minutes of effort to get this simple gif.) 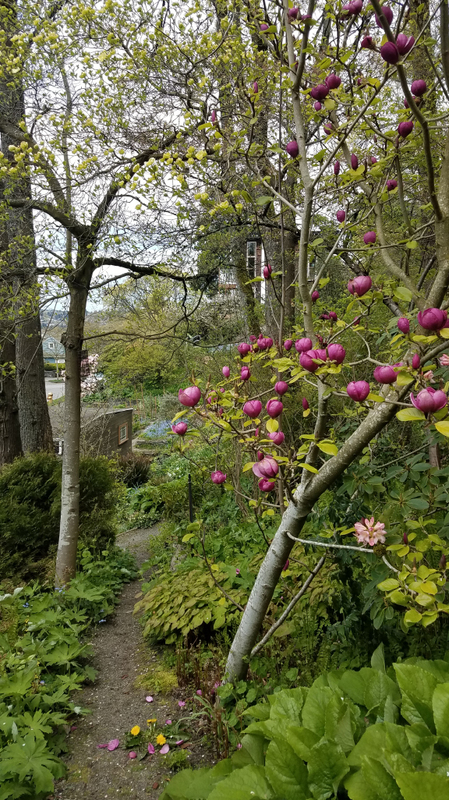 Eventually, I focused on the urban garden just off to the side of the Blaine Street Stairs known as the Streissguth Gardens. 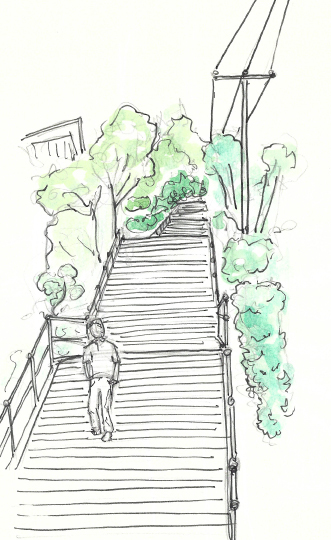 From left to right: Republican Street Stairs, Howe Street Stairs, Streissguth Gardens, and video from the Just A Line app on Republican Street Stairs. After picking the space, I started to do more research on the garden. 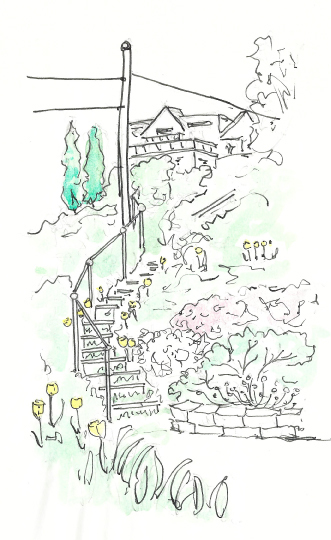 It was built by Ann and Dan Streissguth and their love of gardening and public spaces. They donated the land to the City of Seattle in 1996 to ensure it would be preserved for public use. You can find out more here. I was fortunate enough to find a book that they wrote that highlighted major developments, plants, and stories from the garden. I picked out several and how they might be displayed as visitors walk through the garden. Stories by map and images of the garden. I knew I wanted to look at how augmented reality can tell stories outside of museums and indoor environments, so I focused on location-based AR. After tutorial after tutorial, I gave up on this method. I lacked the technical background to make this work, so I moved to using Vuforia and target images. Once the program recognizes a target image, it causes an overlay to appear. This overlay can be video, a 3D object, or a still image. 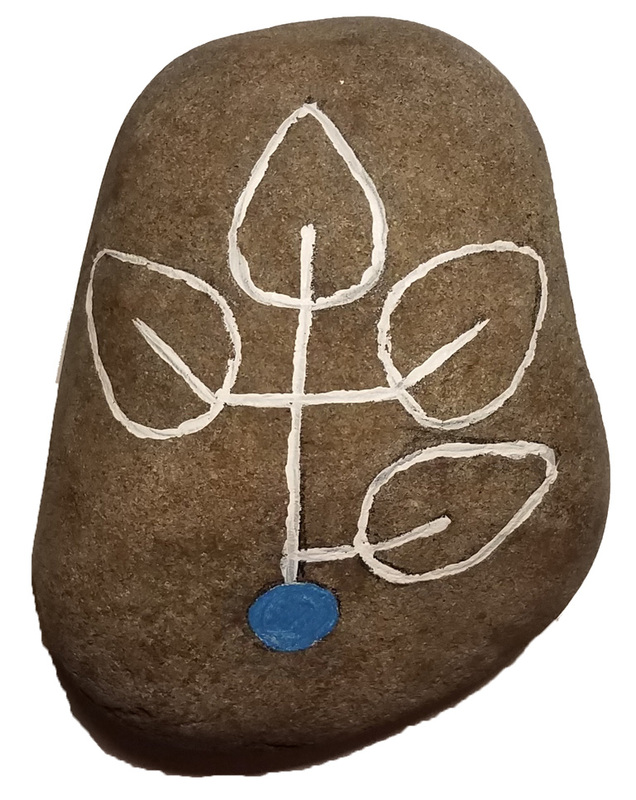 I thought about how I would incorporate target images into the garden. 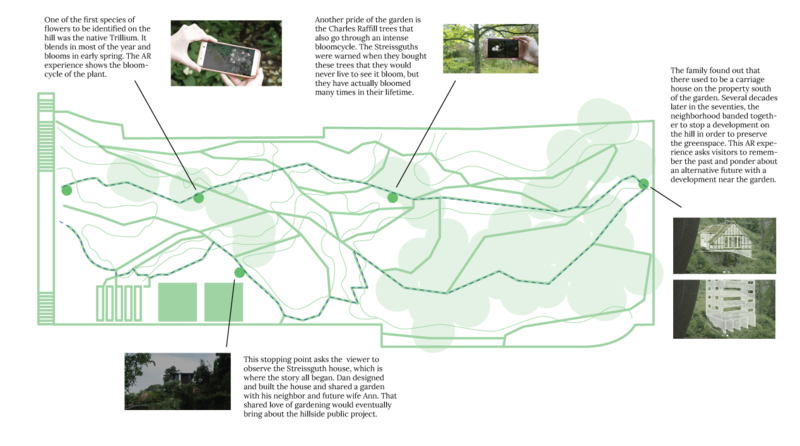 After another exploratory trip, I thought about treasure hunts and how it might be integrated into a public space. 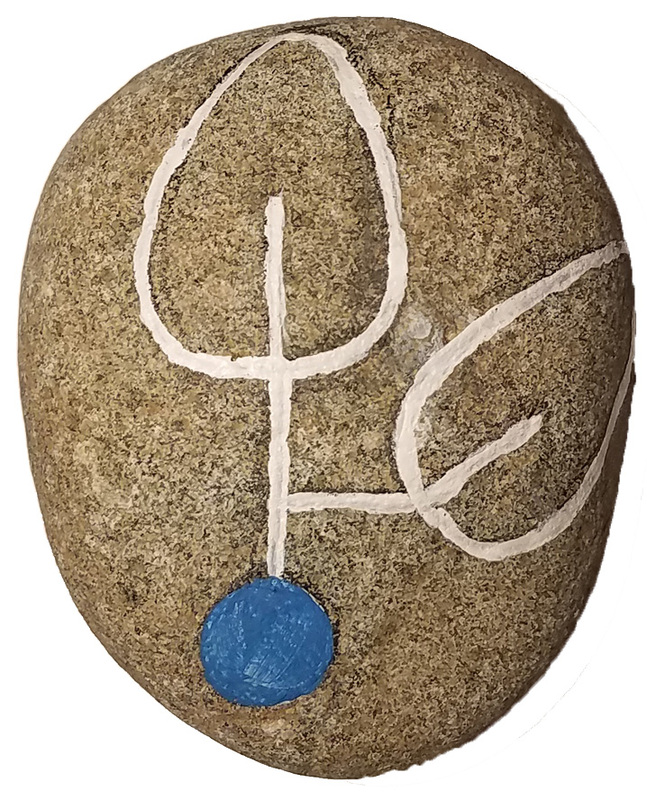 I looked down, saw the rocks that lined many of the terraced trails, and realized there were many subtle ways to place target images in order make an AR treasure hunt in this urban garden. 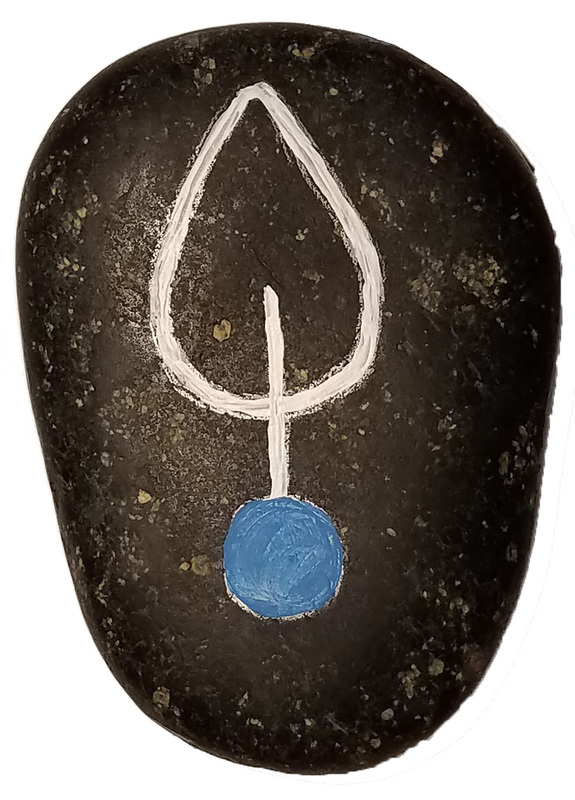 I developed a visual language and painted up a bunch of rocks and tested out a series of videos that Vuforia would play when it registered the pattern on the rock. Unfortunately, I could not figure out how to get Vuforia off my computer and usable as a mobile experience. Some were better than others: this shows the carriage house that had been there in the late 1800's and what an alternative future development would have looked like if the neighborhood hadn't banded together to stop it in the 70's. 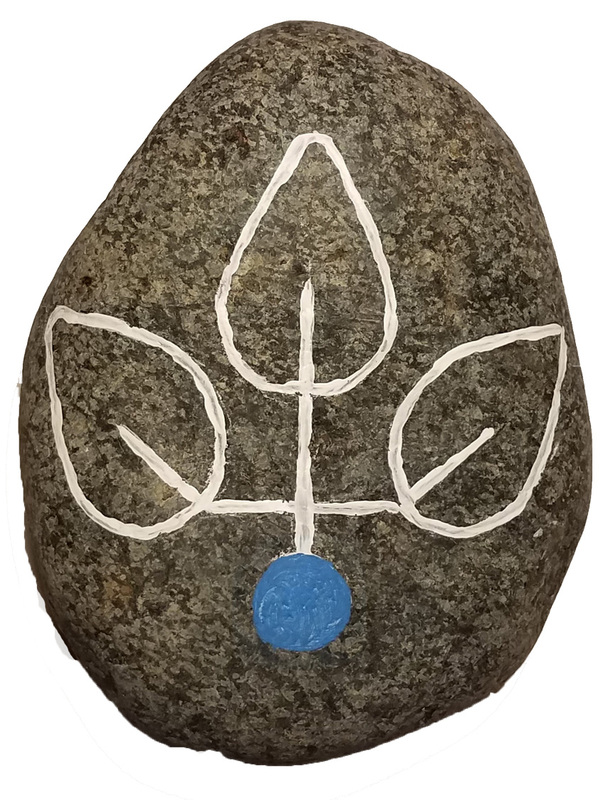 The problem with rock targets? You can only look down. If you want to look up, say at this Charles Raffill tree, you have to find another way to incorporate the target image. This experience talks about the history of the Streissguths and how the garden came to be. It also highlights a nice view of the Needle. I am continuing to figure out how to make this experience work. (Time does wonders—in just a few months after this class ended, there were so many resources online.) First, I am experimenting with A-frame and AR.js that allows you to create a mobile AR experience with just ten lines of html. This is a powerful prototyping AR tool that I will continue to work with (Gifs coming soon). Second, I will try to get Vuforia working independently on my phone. We will see how that goes. Until then, visit the garden if you haven't and email me if you have any ideas or tips for making this work!